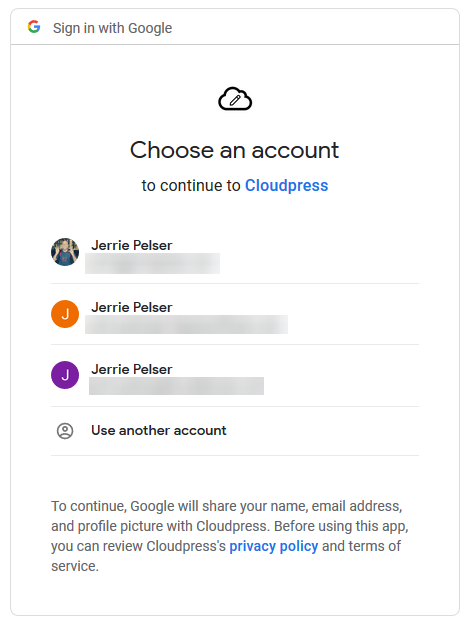 To link your Google Drive account to Cloudpress, you will need to authorize Cloudpress to have access to your account. 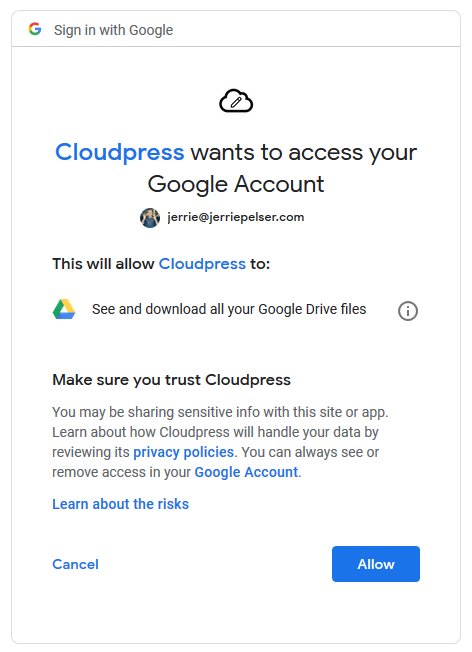 We also suggest that you read Understanding Google Drive permissions to get a better understanding of the permissions Cloudpress requests and the reasons we request those permissions. This document will walk you through the process of linking your Google Drive account. 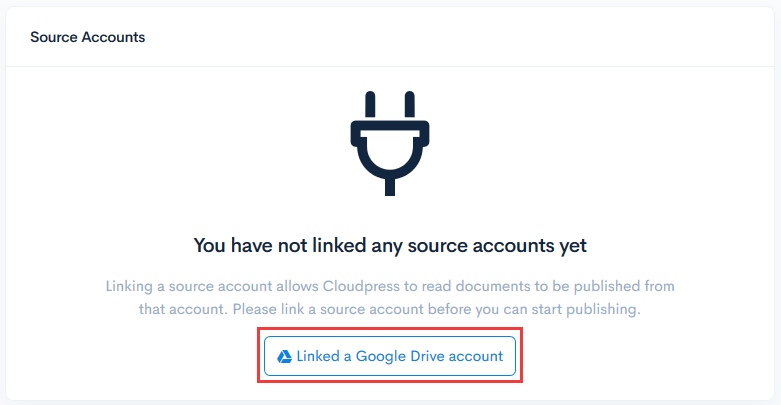 You can link your Google Drive account by going to the Source Accounts section of the Linked Accounts page in the Cloudpress Dashboard. Depending on whether you have previously linked other source accounts, you will either see an empty account list or a list of accounts that you have already linked. You will be taken to the Google website where you need to log in with your Google account if you’re not already logged in. If you’re logged in with more than one Google account you will be prompted to choose the account you want to use. Next, Google will prompt you whether you want to give Cloudpress access to your account. If you’re happy to give Cloudpress access to your account, click on the Allow button. 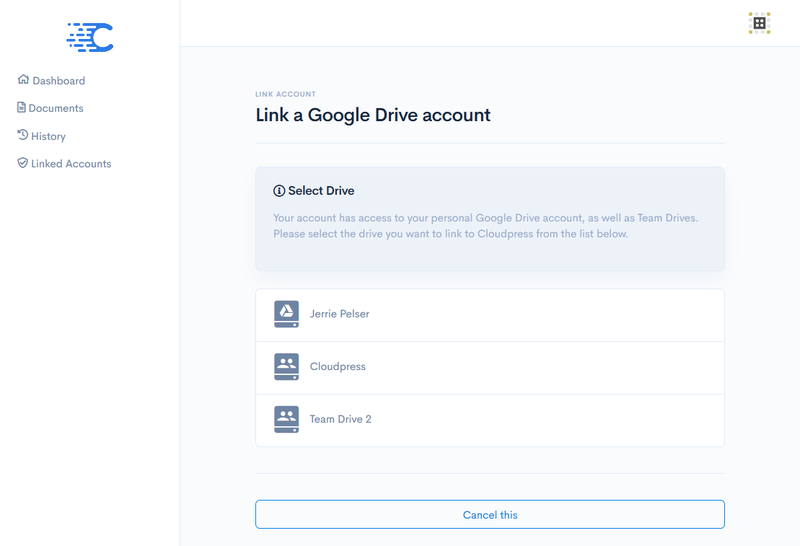 If your Google Drive account has access to any Team Drives, you will be prompted to select whether you want to use your personal Google Drive account with Cloudpress, or whether you want to use one of the Team Drives. Select the correct Drive to complete the process.